The Independent Panel on Forestry advised the government on the future direction of forestry and woodland policy in England, and on the role of the Forestry Commission in implementing it. 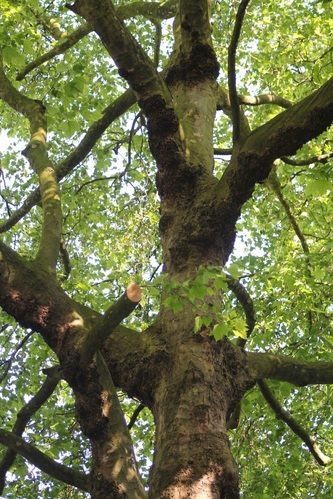 The Panel was set up in the wake of the outcry over the proposals to dispose of publicly-owned woodlands to businesses, communities and charities in 2011.
repay itself many times over in terms of public benefit. The report calls for England’s woods and forests to be re-valued for all the benefits they provide. These include areas for recreation, clean air, clean water, and habitats for wildlife. They also lock up carbon, provide shade and can help reduce flooding. Wood is the raw material for timber frame buildings, furniture, flooring, fuel, and of course paper. A new public body will be established to protect forests for future generations. This new, independent public body will hold in trust the nation’s publicly-owned forests and, alongside the continuing work of the Forestry Commission, this new body will own, maintain and safeguard our forests on behalf of the public. The announcement formed part of the Government’s response to the Independent Panel on Forestry’s report on the future of trees and woodland. The Government also confirmed its support for the Panel’s vision and has accepted many of its recommendations in full. The policy sets out an ambition to expand wooded areas, increase the amount of woodland being well managed, maintain and improve access to our public woodland and improve the economic performance of the forestry sector. The Forestry and Woodlands Policy Statement incorporates the Government’s Response to the Independent Panel on Forestry’s Final Report. It acknowledges the importance of the Panel’s report and confirms that the Government shares its vision for the future of our forests. It sets out clear priorities for future Government policy-making, focused on protecting, improving and expanding our public and private woodlands. It covers, among other things, the future of the Public Forest Estate, woodland creation and management, the economic development of the forestry sector, community involvement in local woodlands and tree health. The statement confirms that the Public Forest Estate will remain in public ownership, and announces that a new body will be established to hold the Estate in trust of the nation and manage it for the long-term benefit of people, the economy and the environment.